We don't just advise UK businesses; we have many international and multi-national clients. 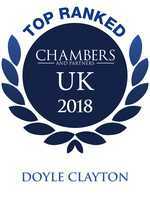 Through our strong international network and contacts, we can help you get the right legal advice for your business across Europe and around the world. If you run international operations, we offer a multi-jurisdictional advisory service, gathering and co-ordinating advice on local laws, to help your business grow abroad, or to support you in overseas litigation. We work closely with in-house counsel with international corporations or with lawyers in private practice in foreign jurisdictions. ELLINT offers over 120 specialist employment lawyers in 10 countries across Europe, and we can use our long-standing relationships for your benefit. We co-ordinate effectively, working together, and where needed we can produce single, multi-compliant documents for use in a number of jurisdictions. We and our ELLINT colleagues not only advise multi-jurisdictional clients on employment and labor law issues, we also provide education and resources to our shared clients and contacts to assist to the greatest and most practical degree, such as giving seminars on the law of redundancy in key jurisdictions. We've also developed a wider global network of preferred employment law and business immigration advisers. 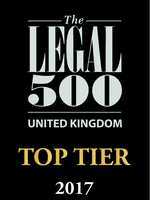 All trusted professionals at prestigious local law firms to ensure that our clients’ needs are fully serviced. For more information, please contact Dan Begbie-Clench by email, or use the contact form here.